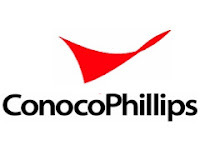 ConocoPhillips is the world’s largest independent upstream energy company, based on proved reserves and production of liquids and natural gas. In Indonesia, ConocoPhillips has been operating for more than 40 years and continues to grow and play a role as one of Indonesia's leading partner in meeting increasing energy demands by exploring new reserves as well as maximizing the value of existing core areas. We're searching for highly motivated, top-performing individuals who are seeking for the opportunity to develop, learn and grow with a dynamic and global company for the following position. Minimum Bachelor degree in engineering. Strong background in Completions, Well Interventions, and Well Testing. Experience with subsea and sand exclusion completions is preferred. Familiar with Drilling, Reservoir, and/or Production Engineering. Capable of working in a diverse multi-cultural, multi-national, highly team oriented environment. Demonstrated excellent interpersonal and communication skills. Proven operational, planning, mentoring, and coordination skills. Working understanding of all financial aspects of drilling, completions, and well services including budgeting, reporting, and accounting. Greater than working knowledge of Inflow/Outflow analysis. Working knowledge of WellView®, tubular stress analysis (WellCat®) is preferred. Minimum 10 years of completions experience preferably with some drilling, well intervention, and/or production operations experience. IWCF or IADC well control certification is preferable. Member of a multi-disciplinary team that conduct subsurface assessments of exploration prospects & leads, providing bid round recommendations for new acreage acquisition, and performing regional scale play evaluations. Define scope and requirements of major geological projects. Develop sound solutions to specialized geological problems that are cost effective. Perform the more complex non-routine geological interpretation in complex depositional environments, fracture basement reservoir and varying structural complexity. Identify, screen and prioritize opportunities. Provide geological expertise on a multi-disciplinary asset team handling active field development projects (operations & asset development). Bachelor degree in Geology or Geophysics. 10 years of direct experience as a petroleum geologist generate development drilling locations, evaluate production and reserves, and recommend operations to optimize production, increase recovery, and add reserves. 5 years of experience with Petra, PowerLog, SeisWorks and ZMAP, or similar programs. Skills in geomodeling programs Stratimagic, Geoprobe, VoxelGeo, and IRAP RMS are a plus. Responsible to conduct regular monitoring and inspection of the plant and process rotating and stationary equipment, including taking readings and reporting any discrepancies, and ensuring all Maintenance Procedures and Written Instructions are followed and adhered to. Diploma degree (D3) in Mechanical Engineering. 5 years of experiences in the chemical or oil and gas related industry. Working knowledge in mechanical rotating equipment maintenance, gas turbines, compressors and pumps, and Conditioning Monitoring Programs. Responsible to maintain the production facilities operations under normal condition and ensuring all process plant and utilities equipment are in a good condition and in operable condition to maintain high reliability of the plant. Involved in daily plant activities and ensure that all activities are carried out in a safe manner. Monitor process parameters and make an appropriate adjustment when a deviation detected and or an upset condition. Provide routine monitoring of the plant and process equipment, including taking production readings and reporting any discrepancies. 5 years of experience in the chemical or oil & gas related industry. Working experience in mechanical rotating equipment maintenance, gas turbines, compressors and pumps, and conditioning monitoring programs. For detailed information & apply online, please refer official source on following link below. ConocoPhillips is an equal opportunity employer. Only those individuals who fully meet the above requirements need apply.